Click here to go to the CPC Facebook page. 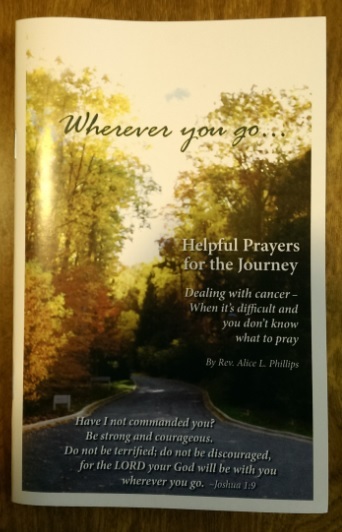 Pastor Alice Phillips has written a prayer book for those who are on some kind of cancer journey, their family and freinds. Romich Foundation provided the initial funding for printing the first several hundred copies. For copies of the book contact Rev. Alice L. Phillips at revalphillips@yahoo.com. Suggested donation to cover costs of printing and mailing is $4. The book includes an invitation to provide financial support for this initiative. Anyone wishing to do so is welcome to send a check to Romich Foundation, 13875 Cleveland Road, Creston, OH 44217.